Are you sitting on top of a wonderful idea for an innovative quality game but can’t find funding for it? Maybe you should consider turning to the support programme from the European Commission, Creative Europe. Let’s have a look at this programme step by step. The applicant must be located in an eligibe country and have produced a game which was commercially distributed during the two years preceding the call. Only legal bodies who own the majority of the rights related to the submitted project can apply. The game needs a high level of originality, innovative and creative value, cultural diversity and enhanced Europe’s cultural indentity and heritage compared to existing mainstream works. Besides that there must be a commercial drive behind the project. What can you apply for and how much money is there to be had? The game must be a digital game (regardless of platform), be intended for commercial use and the first playable prototype may not be scheduled within 8 months from the date of application. The list of ineligible projects can be found in this PDF. All you need to do is to apply for the call and check out the criteria (project types, eligible countires, etc.) in the PDF we linked above. Please note that the next call will probably be in March 2015. 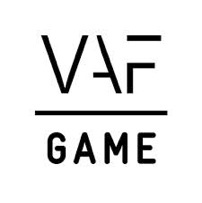 So far no Flemish game developer has used these grants, maybe you could be the first? Feel free to contact us at FLEGA if you want more information about applying!